Contractors, architects and engineers—you’ve come to the right place. And anyone looking for big-time printing projects, you’re in the right place, too. We have the equipment, personnel and technology to produce the highest-quality large format prints. From simple black and white plans to photographic quality, full-color signs and banners, we provide quick turnaround times on every project. 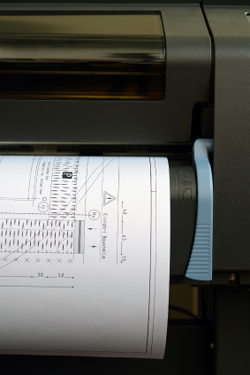 Contact us today, and we’ll show you a better large-format printing experience.